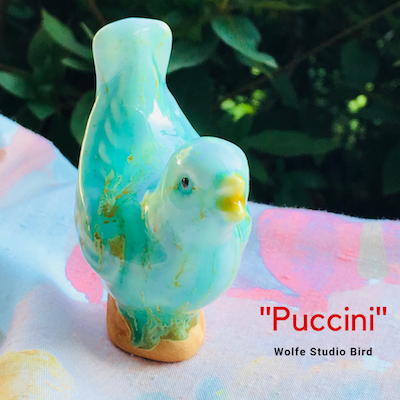 Serenade the future with an anniversary songbird! 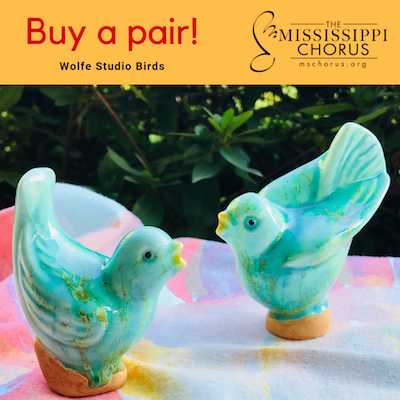 Help lay a foundation to support The Mississippi Chorus! 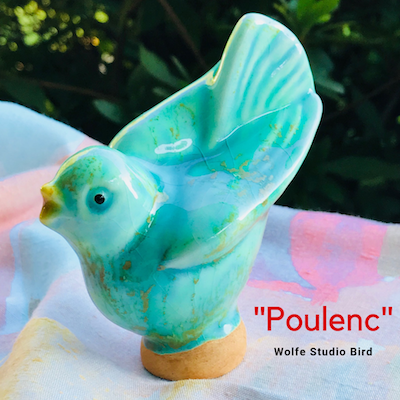 Purchase a Wolfe Studio collectible bird (or birds!) and help support The Mississippi Chorus. We need to raise funds to purchase new risers for our concerts. Order just one wren, a pair of wrens or a whole chime of wrens! or the buy the pair!